Simple: Beer is good, war is not. Un mensaje traído a ustedes por The Beer Daily para tiempos como éstos. >>Beer is good. 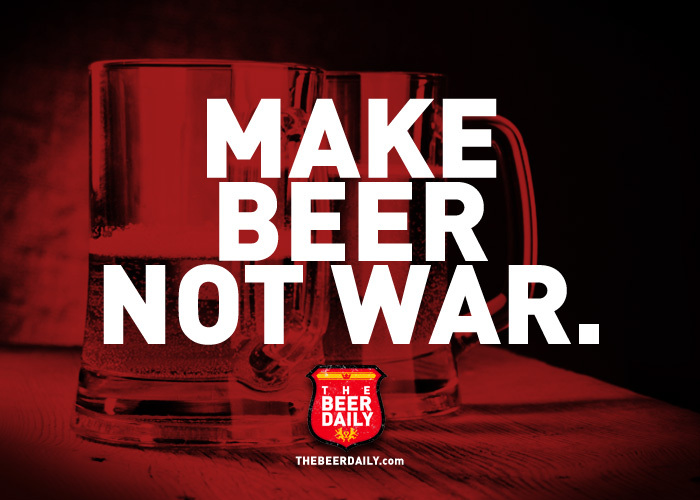 This entry was posted in Ads and tagged Ads, Advertising, beer, bier, Cerveija, Chela, Cheve, Light Beer, méxico, Monterrey, Peace, Peace and Love, Publicidad, the beer daily, thebeerdaily, War by thebeerdaily. Bookmark the permalink.